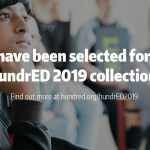 Want to democratize leadership development in your school? 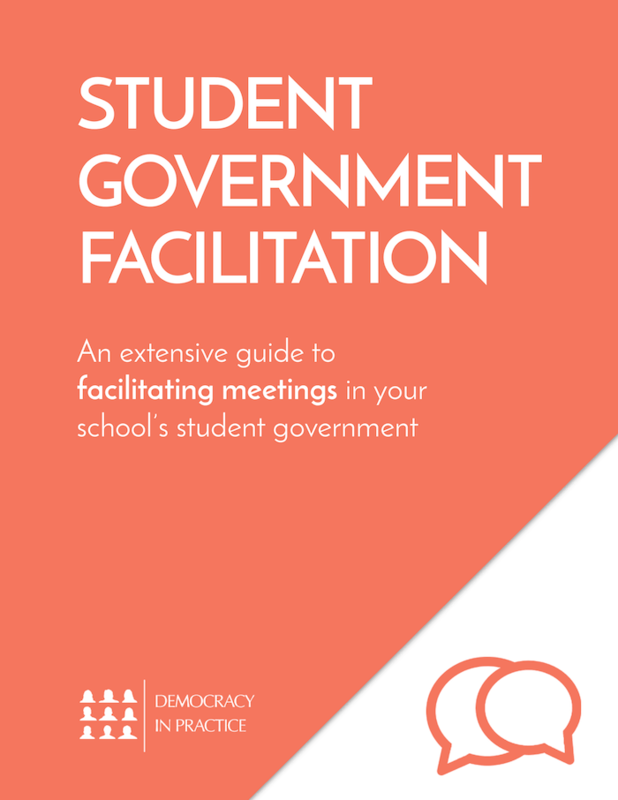 Below you can find a free toolkit with all the resources you need to do so, including detailed step-by-step guides and quick videos that explain different ways to structure and run student government. 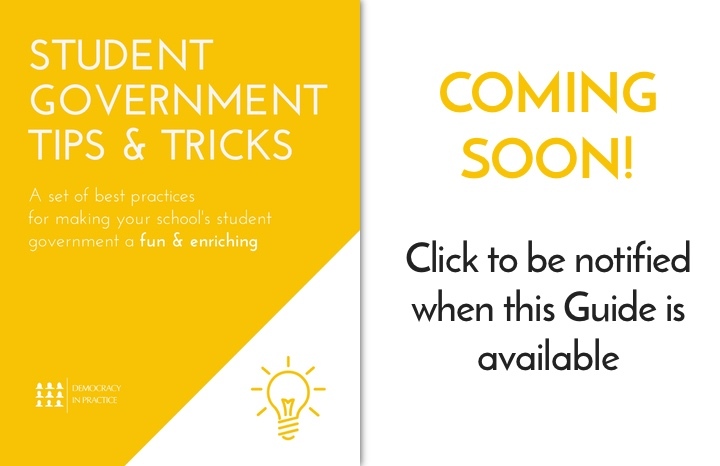 Need help convincing others to adopt these practices at your school? 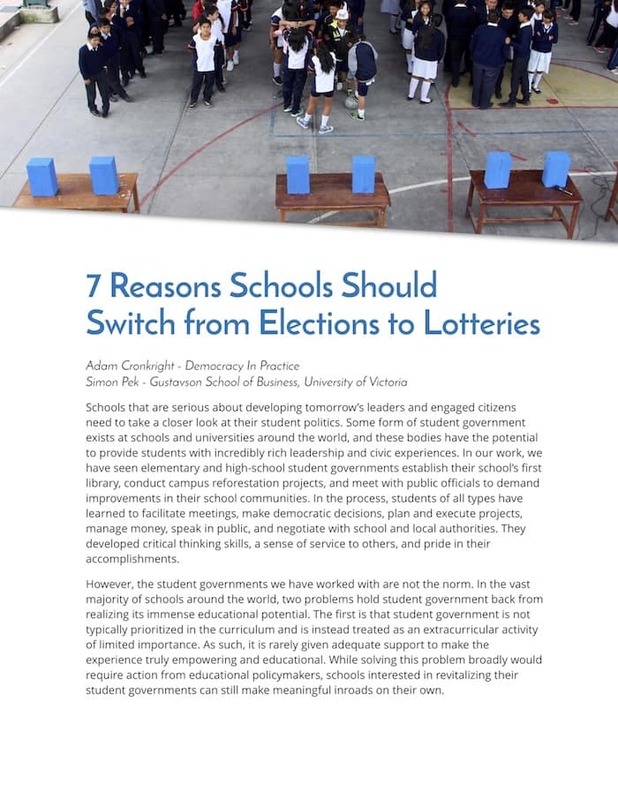 This page also provides promotional materials you can use to introduce others to these concepts, and we’ll soon be posting research that explores teachers and students’ perceptions of implementing Student Government Lotteries. Want to see how this work fits into the bigger picture? On our Bigger Picture page you can find out about how similar innovations are being used to improve democracy in your part of the world. 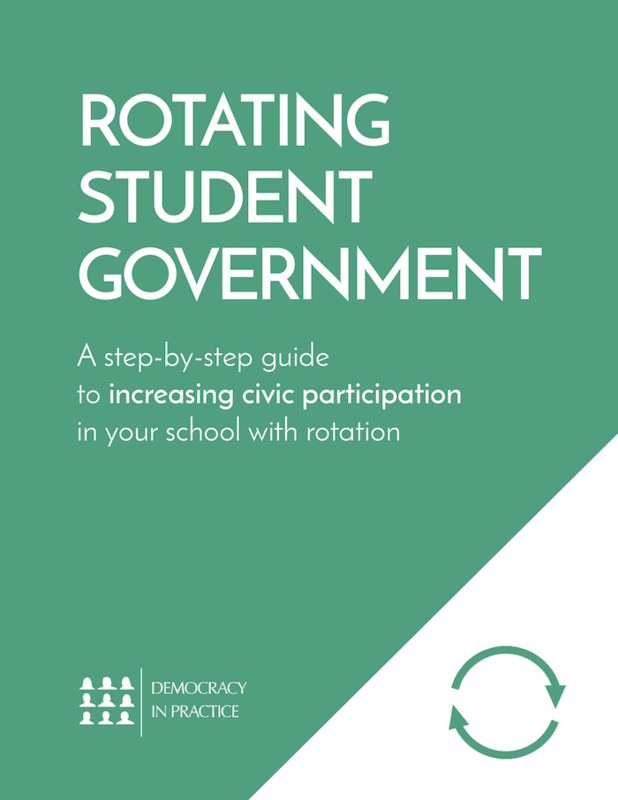 These short step-by-step PDF guides will help you implement innovations like lotteries, rotation, and horizontal teamwork in your school’s student government. 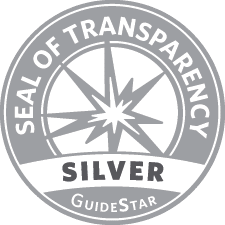 There is also an extensive Guidebook that provides a deep-dive into facilitating meetings. But don’t feel overwhelmed! You can start small by making one simple change, and over time pick other practices from these guides to experiment with. 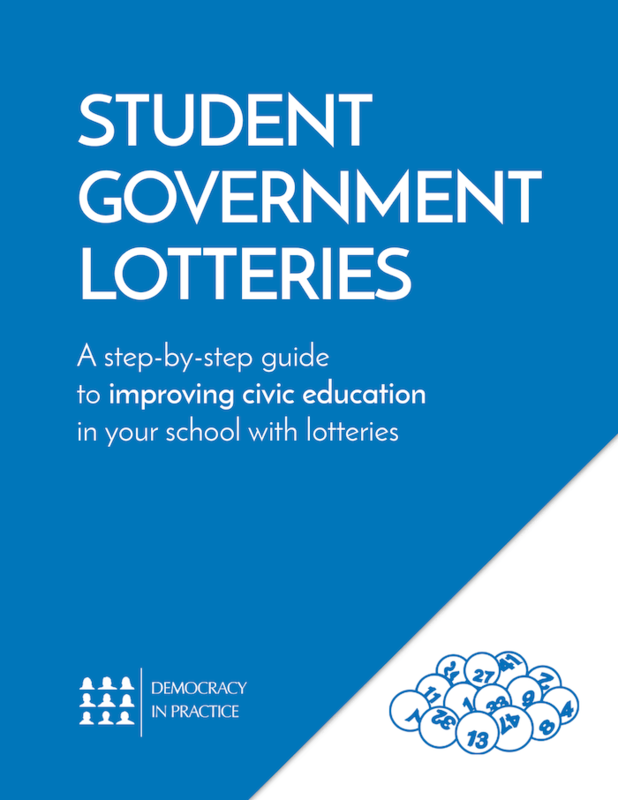 In 2018 we will be posting over a dozen short videos in which students explain everything from how to conduct Lotteries, to facilitating meetings and managing money in the student government. Subscribe below to be notified when these videos become available! You can use these videos to explain this innovative approach to others at your school. 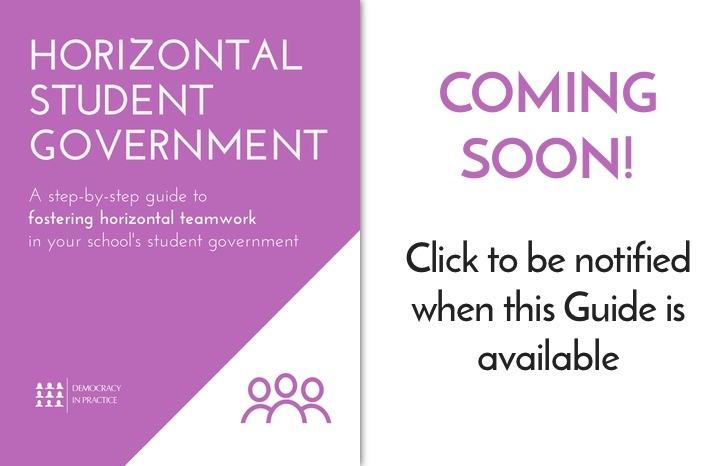 More promotional material is on its way, so stay tuned! Have a question? 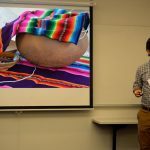 Want to share your experience using these resources? We'd love to hear from you! Want new guides and videos? 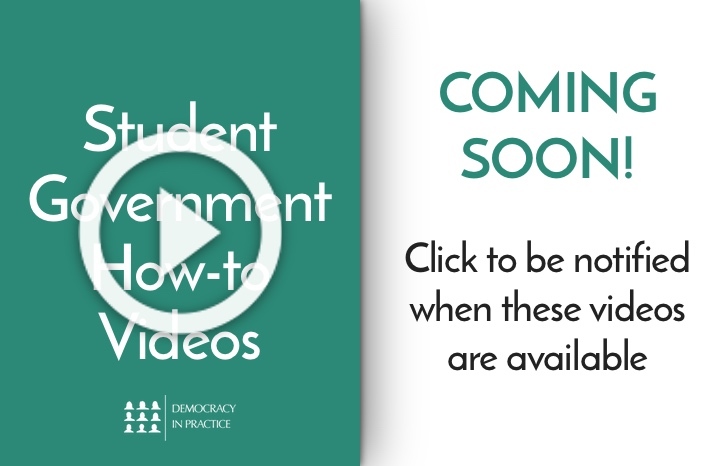 Sign up to be notified when we post new resources!